With this week’s game played on Monday between my Cygnar and Tim’s Farrow I had the opportunity to play a solid practice game on Wednesday. This is that game. 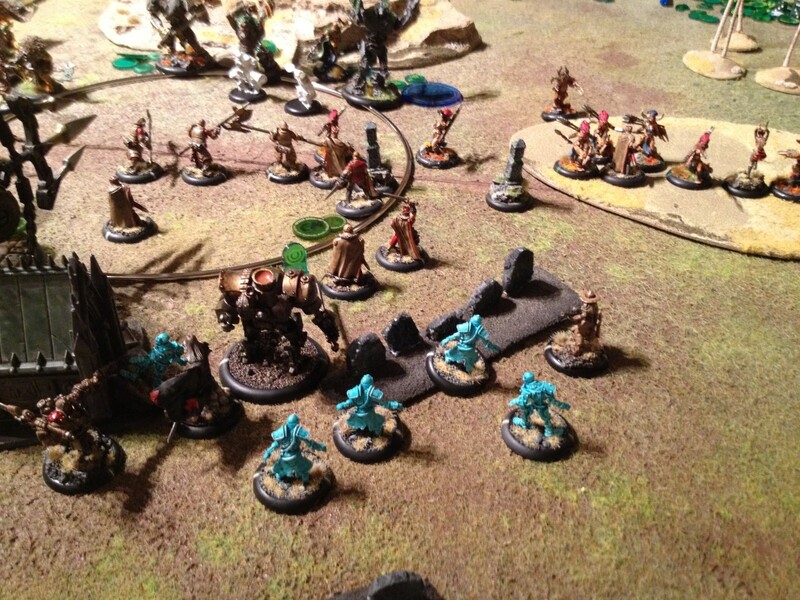 Podcast 063 – Cygnar vs Circle, Kraye vs eKrueger – Just Because He's Good Doesn't Make Him Easy! This week for the podcast, Todd decided to get some practice in with the original Circle Power Warlock himself… eKrueger! And because I now no longer need to worry about Bradigus, but I’m still locked into fielding my anti-Bradigus Kraye list… I figured it was a good chance to see if he has any game whatsoever in this matchup! Having played the game now, I can say, with authority; Maybe! Podcast 058 – Legion (eThagrosh) Vs. Circle (eKrueger) – Get Off My Zone! Last week I was practicing list for the 50pt Steamroller Tourney at the Game chamber. The battle reports for the tournament have already gone up but I thought I would post this battle report anyway.